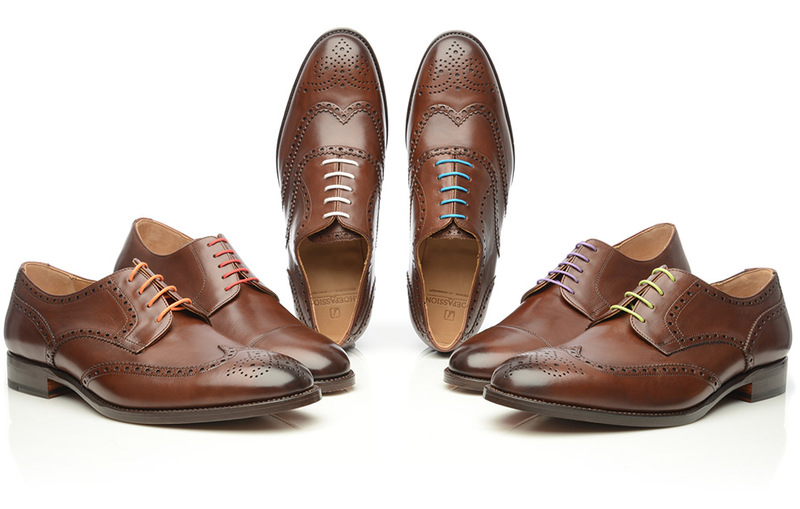 When it comes to shoe laces, black or brown varieties have always been the elegant, classic choice. That being said, stylish gentlemen have long taken a shine to more colourful options. 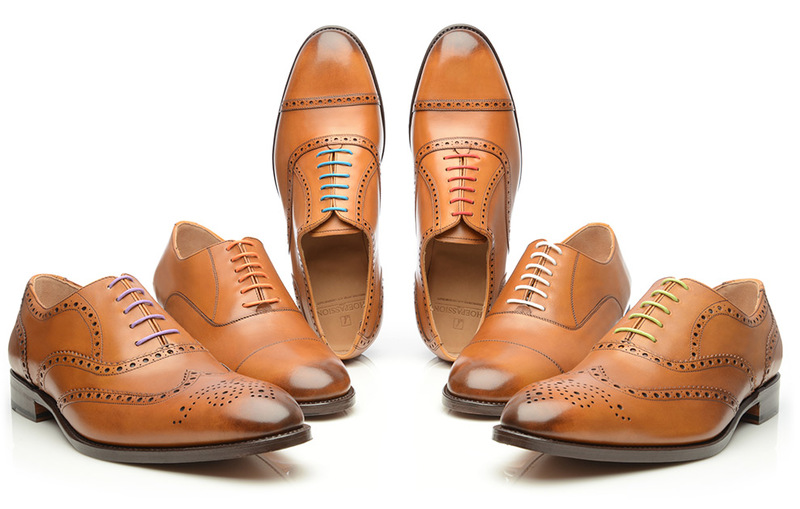 Available in red, blue, green, purple and orange, our coloured shoe laces instantly transform traditional men’s shoes such as the oxford or the derby. 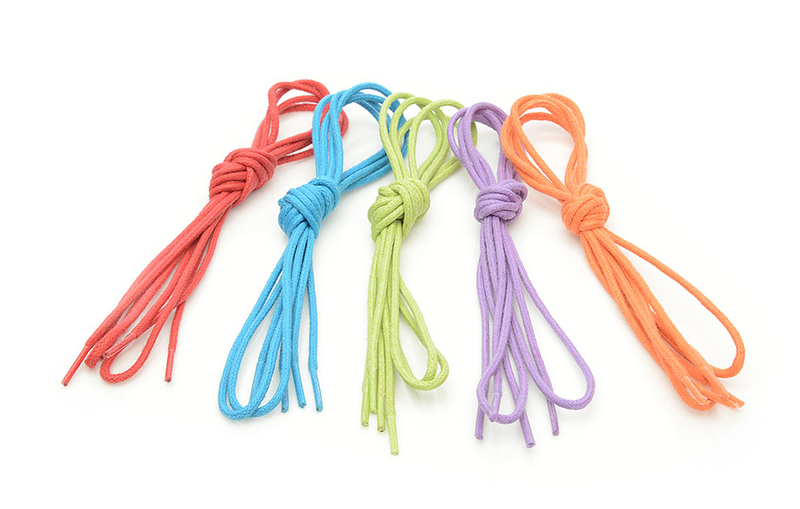 Our coloured shoe laces, prepared using special plaiting machines, are remarkable for their longevity. 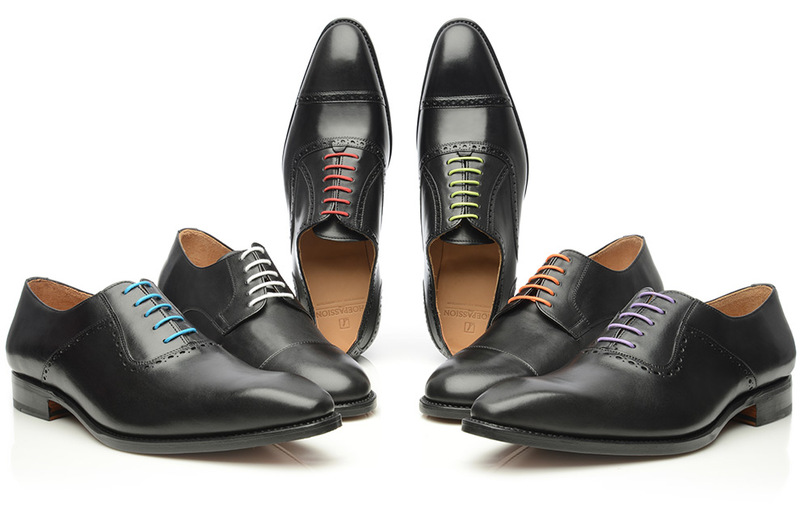 Their quality is immediately apparent: each shoe lace falls straight and doesn’t twist. The lace’s smooth, dense feel is also a mark of good quality. 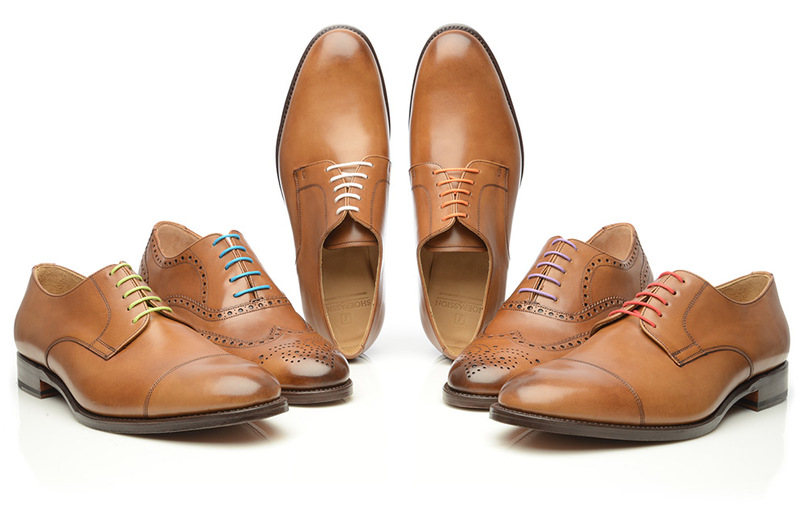 Our thin shoe laces are waxed, which makes them less vulnerable to wetness than their unwaxed counterparts. In terms of feel, these round shoe laces are nice and firm, and they don’t flop around on the shoe upper. When laced, these waxed shoe laces remain visually appealing. Both ends of the coloured shoe laces are sealed with celluloid, forming stiff tips known as ‘aglets’; these prevent fraying. The aglets also make it easier to guide shoe laces through shoe eyelets. Our thin, waxed round shoe laces are 80 centimetres in length, and are best suited for shoes with normal or high-rise lacing. 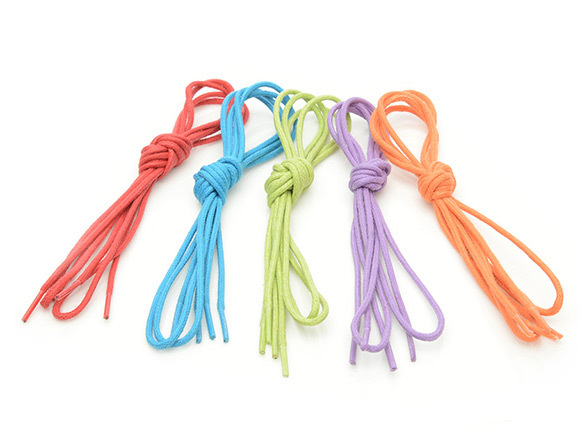 Our coloured shoe laces are available in blue, purple, green, orange, and red.